Foie Gras Partners is specialized in the production of fat geese and ducks in Hungary and Bulgaria. 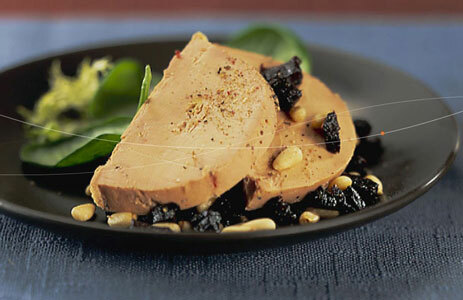 We sell a complete range of fresh and frozen cuts : foie gras (fabrication, restauration, TV…), deveined fat liver, escalopes, cubes, breasts, inner fillets, legs, wings, meat, gizzards, fat. We are settled next to the production sites and next to our customers. Our office in Budapest is in charge of logistics and administrative affairs of our activities and ensures the quality control to the farmers and slaughtering houses. Our settlement in the heart of RUNGIS market brings us a great reactivity. We enjoy many infrastructures (hauliers, veterinary services, storage facilities, forwarding agents, customs) which make us possible to ensuring daily a quality customer service. 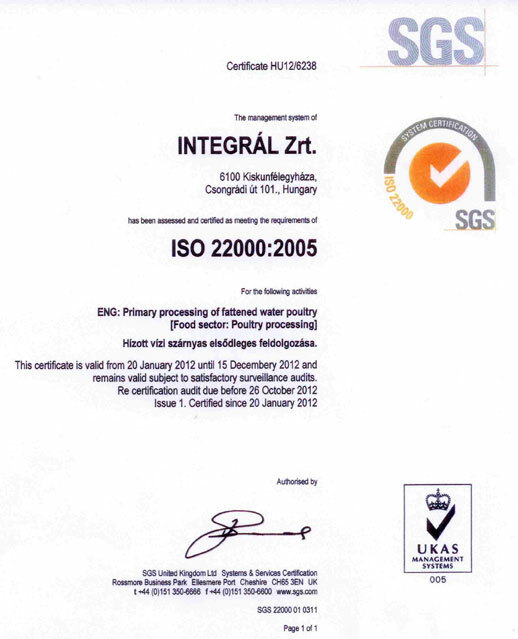 The slaughtering houses are certified ISO 22000, ISO 14001, IFS and BRC. We put our own quality scheme at your disposal. We respect the specifications of our customers. Our distant ancestors noticed that geese had a natural tendency to eat in order to stand the winter and perform long migratory distances *. They understand that geese «create» the foie gras. This is a real reserve for their long travel. Since the dawn of time, palmipeds are bred in all latitudes. After Egyptians, Greeks and Romans force-fed geese. Later, Hebrew, who dispersed through Europe and particularly in Hungary perpetuated the tradition of breeding and force-feeding. * The greylag geese are those who make the longest migrations : some of them who leave from Northern Europe to Africa can cover up to 10’000 km. The record altitude of 9’000m has been registered. With good meteorological conditions, geese can reach 150 km/ h.
In Hungary, geese and ducks force-feeding is a tradition that dates back 15th century. The industry of fat palmipeds expanded in 19th century to supply Russia and Western Europe with foie gras. It enjoyed a new boom in the 60’s to supply the French market. It strengthened in the 80’s facing the increasing request and the strong interest of French and Japanese consumers for goose foie gras. The animals are traditionally placed in collective park. Hungary is among the pioneers of this method. This major advantage for animal welfare responds to the recent recommendations advocated by the European Council. Directive 98/58/CE of European Council, July 20th 1998, regarding animal protection in breeding. The live-stock buildings have very thick walls which make possible a natural cooling during the summer period. These practices come within the scope of sustainable development processes. The respect of a traditional know-how has to combine with modern methods to be in line with processes of sustainable development and performance. The different actors of fat palmipeds industry became aware of the inescapable nature of this engagement. The foie gras industry is supported in its quality procedures by a leading university research structure. A diagnosis of practices of foie gras industry allowed to bring to the fore the good practices and the opportunities of improvement. The animals are taken on in units certified ISO, BRC and IFS and working according to the principles of HACCP. The Hungarian poultry industry is working on the setting up of specifications. A plan of action is being worked out in order to define priorities. Zootechnics, quality of product and animal welfare. Environment and enhancement of space. Improvement of production sanitary conditions. The stake of sustainable development comes within the scope of the company purposes which are to build to last while aiming constantly performance. Slaughtering and carving houses certified by U.E.